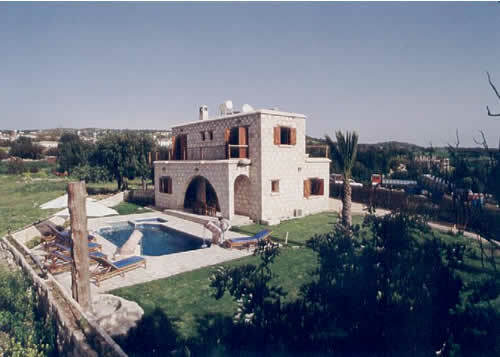 3 Bedroom stone built villa with a private swimming pool in the very quiet and authentic village of Peristerona in the Polis area. This village is situated about 8 km from Polis town and Atichoulli Gorge is only a few minutes away where one can either go by foot or by car. The villa has both sea and mountain views. SLEEPS: 6 The one bedroom downstairs has a traditional four poster village bed and there is a double bedroom and a twin bedroom upstairs . All bedrooms have fitted wardrobes/cupboards. 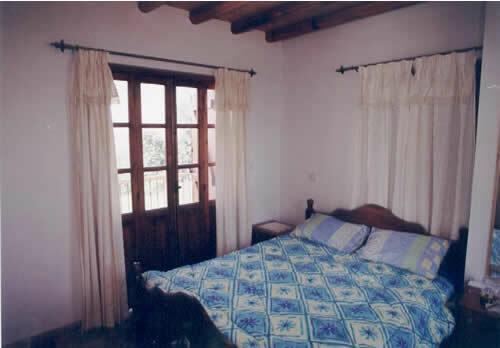 The bedrooms upstairs lead onto a balcony. 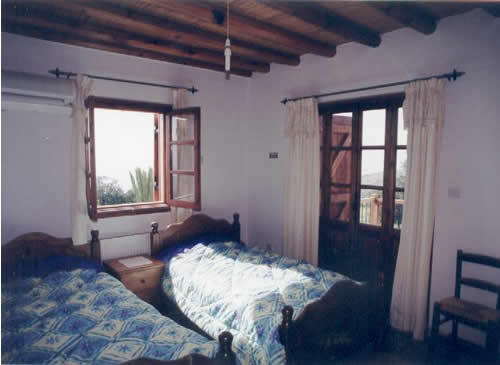 Each bedroom has it's own bathroom (one with bath and two with showers). There is an open plan kitchen, sitting and dining room area. The kitchen has all the necessary facilities required, i.e. stove with gas hobs (electric oven), microwave, fridge/freezer, toaster, kettle, and a washing machine. The lounge and sitting area have couches and table and chairs. There is a television (and satellite), DVD, radio cassette and CD player. Magazines, books and many games (such a Backgammon, Scrabble, Trivial Pursuit) are also provided. The swimming pool outside with its deck chairs leads to the garden where one can barbeque or just relax in the serenity of the garden. There is also a children's pool and an outside shower. coffee shops for the visitors' convenience. Polis town is an approx. 8 minute drive away. 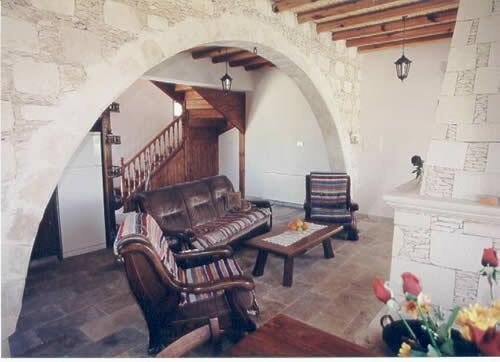 The town of Paphos is a half an hour drive away and it is a forty-five minute drive from Paphos Airport. Air conditioning inclusive in the above prices. A welcome pack, including a bottle of wine, is provided.